Intel has a lot on the line this week as the chip maker hosts the Intel Developer Forum in San Francisco starting Tuesday. So it's an opportune time to catch up with the company's CEO, Paul Otellini, and to pepper him with questions about Windows 8, the future of the personal computer, the rise of tablets, and the course that Intel has charted for itself. Otellini wouldn't give us a scoop on the company's next-generation Core processor for Ultrabooks (code-named Haswell). But Otellini did address—and dispel—the myth that we now live in a post-PC world. He also outlined Intel's mobile ambitions, and discussed the innovations that Intel will drive in the years ahead. 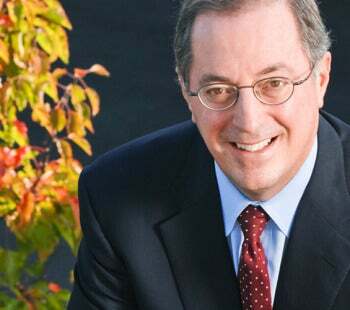 Otellini has served as Intel's CEO since 2005 and has been with the company since 1974. What follows is an edited Q&A session that I conducted with him earlier this month. PCWORLD: Where does the x86 microprocessor architecture used in our laptops and desktops fit in to consumers' lives today? Otellini: First off, we call it "Intel architecture" and not "x86." There is a difference. Things have evolved from the 286, 386 days. Our view is that Intel architecture is the world's most popular computing architecture in terms of the install base and the number of applications designed for it. It's a very scalable architecture. It's one that can go from the highest supercomputers, to the consumer PC, and now embedded into phones as we scale it down. In our view, the Intel architecture is homogenous—it's a foundation that gives us the opportunity to bring it into every kind of electronic device that's going to connect to the Internet. And that's good for developers because they can reuse their code base. It's good for hardware developers because they know the architecture, and that lets them bring products to market faster. And we're trying to make it very, very good for end users in terms of having a consistent computing experience. PCW: How do you react when people say we're in a post-PC era? Can desktops and notebooks survive in a smartphone and tablet world? Otellini: I don't think there is a tablet- or phone-centric world. My view is we live in a personal computing-centric world. Different types of computing devices or form factors will appeal to people who have different types of jobs or to people of different income levels. For example, even though I love my iPad, that doesn't mean I've completely given up my laptop. I couldn't do my job without my laptop. People who create things for a living—whether it's creating dense PowerPoint presentations or spreadsheets or financial models, or modeling drugs on a PC—need real computers. That need is not going to go away any time soon. Our view is all these devices exist and the PC will continue to evolve into form factors like Ultrabooks. PCW: I'm thinking of consumer desktop PCs. Is this a form factor that you see sort of evolving in that same way? Otellini: Yes, I mean—it depends on where you are. The desktop business is still significant. It's a multi-billion-dollar business for us. But it's not growing very much. Most of the sales are offshore in emerging markets where the desktop provides the best bang for the buck. A desktop PC allows a multiple-family-member household to share the PC. Desktops offer people the ability to upgrade and expand systems. For first-time buyers, consumers, and small businesses, the desktop is still a major deal. PCW: Some analysts say Ultrabooks have been a huge success. Other analysts say Ultrabooks sales have been disappointing. Which is it? Otellini: Through the first half of the year, Ultrabook sales are right on target from what we expected. We didn't expect it to be gigantic in the first half because we knew we had to get multiple skews in, we knew people were bringing out new models, and we knew the prices had to come down. But as we look into the fourth quarter, the price points that are out there, the number of models that are going to be available, the breadth of distribution, I think we're still on track to meet the goals that we set out publicly. PCW: Thinking about Intel pushing innovation in hardware, as Windows 8 launches, how is Intel allowing hardware partners to innovate? I'm thinking about Ultrabooks, but also Ultrabooks with touchscreens, convertible form factors, anything else? Otellini: Well, we're not allowing them to innovate; we're encouraging them to. With Ultrabooks, our goal was better battery life, thinness, and performance. Beyond Ultrabooks, we are seeing a reignition of innovation, particularly from ODMs and OEMs and their designs. We're seeing a lot of interesting things with touch, with convertibles, with screens that pop off, new experimental form factors that take advantage of Windows 8 and the touchscreen. The existing paradigm that laptops and tablets are separate and the twain shall never meet is just not true. PCW: You are working with Motorola Mobility and Lenovo smartphones today. When will we see Intel inside more tablets—maybe even a Google or Apple tablet? Where does Intel hope to be in five years with an ARM strategy? Otellini: We don't have an ARM strategy. We're selling Intel architecture chips into mobile markets—and that continues to be a major plus. But I've described our work with mobile device makers as a marathon not a sprint. You don't enter these markets and become an overnight success. It's going to take a lot of work and a lot of time, just as it did with PCs and servers. You'll see Intel move into the mobile market, as we move through the Moore's Law generations of products. Mobile devices [powered by Intel] will get better and better and ultimately we'll have the best machines on the market. PCW: How long before we see a Google tablet or an Apple tablet with Intel inside? Otellini: You'll have to ask those companies that. We're certainly not going to announce it. But we're in a number of Android tablets coming out this year. And of course there's a whole bunch of Windows 8 tablets coming out. PCW: Is Gordon Moore’s Law still "law"—and if so, for how much longer? Otellini: Moore’s Law is more of an observation than a law. It's not like gravity. It relies on the innovation of individuals to be able to progress. That's what we do better than anyone else in the world. We move that curve forward to make it effectively a law, a de facto law. We've always been able to have line of sight for maybe two or three generations of processors. We've been able to see clearly how to scale the transistors. We can see out five, six, or seven years, and we know we can at least pursue technology that far. Beyond that, it requires more invention and that's been true forever. You never really know exactly how to scale these things. The technology is going to change. It will morph. We may have to change the transistor again. We'll use different materials, but we'll continue to scale for as far as I can see. PCW: Today's Ivy Bridge microprocessors have 1.4 billion transistors. What can a chip with, say, 10 billion transistors do that Ivy Bridge can't? Otellini: For consumer electronic devices, the trend is moving towards a system on chip. So what the microprocessor becomes in than model is an increasingly smaller part of a system on chip die. Right now, the graphics are already much larger than the microprocessor. So you can think about integrating every compute function, and then you start integrating the com functions over time. So what that gives you is incredibly high-performance small devices that are lower cost because they're single chips and more pervasive. So in near terms the computers are going to get smarter and smaller and faster, right? What's next is changing the user interface. The big change we'll see is adding voice and gesture and cognitive recognition to computing devices. Those kinds of things are going revolutionize the way we interface with machines. Changing the user interface is particularly useful with smaller devices that don't have a keyboard. PCW: What is cognitive recognition? Otellini: When the machine understands your needs. Think about the evolution of a phone, where the phone knows who you are, knows where you are because it accessed your calendar; it knows your preferences because it's seen your pattern of use; it has your financial information; it's got a whole bunch of things that it knows about you. So now, rather than asking your phone to do this and do that for you, we get to the point where machines are doing things for you on a proactive basis. So the machine knows, has an understanding of your needs, and takes actions for you. PCW: In that scenario, Intel is in the device itself or in the cloud? Or a little bit of both? Otellini: Well the cloud today runs on Intel, the vast majority of it. I don't see that changing any time soon. But when you start thinking about having devices that are of a common architecture to those in the cloud, you can start building out much more capable machines and deliver really neat user experiences. PCW: Two years ago you bought the security firm McAfee. How does McAfee fit into your core processing business today and moving forward? Otellini: We've already introduced our first generation of products created jointly between the two companies. It's a family; it's called Deep Defender. What it does is dramatically improve the capability of a PC to harden the system's vulnerability against zero-day attacks. Looking forward, we're just going to continue to evolve. We are moving in the direction of deep integration of hardware and software and not just in PCs. We are already moving quickly to servers and into mobile devices and tablets. PCW: There is a saying: Almost the only thing worse than having a virus is running the software to prevent it. One of the things that people enjoy about the tablet and the smartphone experiences is that they don't have to think; they don't have to see security software waving flags and warning them left and right as they do on PCs. Otellini: Security software should run in the background disguised from you. I mean, you want to be protected all the time. McAfee has reported that there were more incidents of hacking into Android phones two quarters ago than there were into PCs. Phones are becoming huge targets as they get more capable and we trust them with financial information. People need to become more security conscious, or there are going to be real problems. PCW: I'm just hoping, personally, I don't have to see McAfee, or any other antivirus warnings, start popping up on my phone. Otellini: Would you rather not see an alert and have your phone hacked and your credit card information taken? PCW: Which is more important—raw computational horsepower, the number of transistors, chip size, or energy efficiency, when it comes to processors? Otellini: All of the above. The architect's job is to understand where the chip is going and to make those trade-offs. No one wants to compromise. What you want to have is the highest performance at the lowest cost and the lowest power. And so the laws of physics sometimes preclude that. We design products in a segmented basis for all of these market chunks. We optimize the architecture for the market need in every one of those segments. PCW: Intel has been faulted for not being as power-efficient as others. Do you agree with that? If so, how did Intel get behind the eight ball in that race? Otellini: We didn't aim at it. There's nothing magic here, and the ARM guys have to live under the same laws of physics that we do. We just have not aimed at the smartphone market with Intel architecture until very recently. It takes three or four years to get chips done; and now you're starting to see those roll out, and we've got a wonderful road map moving forward. At the end of the day, the best transistor will deliver the best optimized performance for phones. It's nothing inherent in the Intel architecture—or in the ARM architecture, for that matter—that makes them more power efficient or makes us less power efficient. It's the way you design the system. So as we take our leading-edge transistor technology that no one [else] on Earth has, and take our computer architecture experience of over 20 years, and apply it to these new markets, you're going to see us move into them nicely.